Pakistani government must provide foolproof security to the minorities. General Physician, Dr Sher Ali Hazara’s file photo. Four innocent Shias including a Hazara general physician, Dr Sher Ali Hazara were target-killed in different parts of Pakistan yesterday which alarms the surge in the killings of innocent people in the country. The latest tragic incidents show that the religious extremists are making every effort to escalate sectarian tension in the country before the month of Muharram to perturb the law and order situation which requires immediate remedial measures by the government. The corrupt and opportunist politicians have handed over the entire country to the religious terrorists who are taking innocent lives with minimal fear of facing prosecution. Similarly, the role of judicial activism in the country has become highly objectionable for it turns deaf ear to these unprovoked killings. 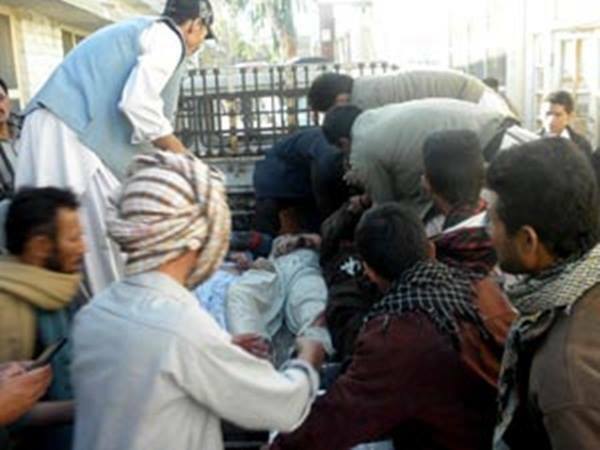 The recent spate of targeted attacks against the Hazaras, the Christians, Ahmedis and the Hindu minorities demand speedy operation clean-up by the government against the religious extremists in worst-affected areas such as the Khyber Pakhtoonkhawa, Karachi and adjoining areas of Quetta city. The Pakistani government’s role in providing security to the lives and property of the minorities in Pakistan has declined badly as the terrorists flee the scenes after performing the tasks. 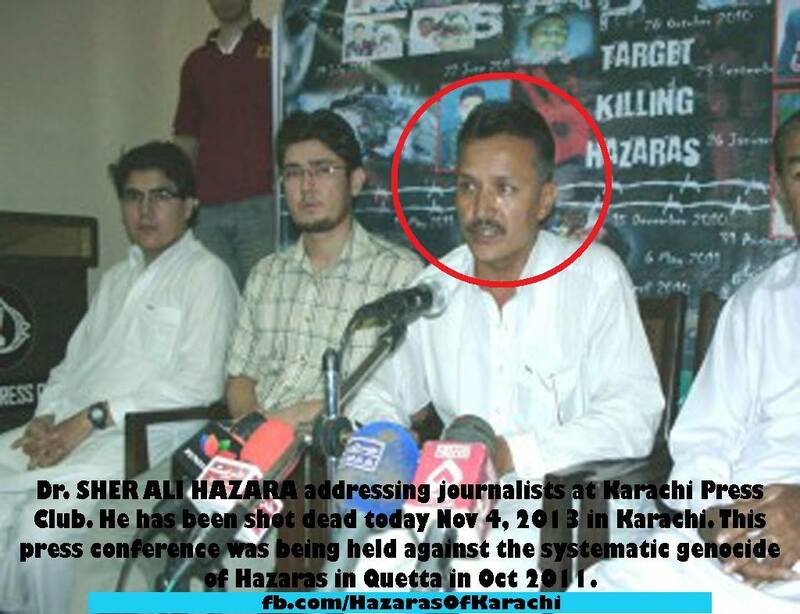 Dr Sher Ali Hazara, besides his obligations as a medical doctor, furthered the voice of the Hazaras and Shias in matters of human rights violations as the General Secretary of Hazara Mughal Yekjehti Forum of Pakistan by organising and leading press conference(s), static demonstrations and rallies. HUM pays homage to his aggreived family and the HMYF for his strenuous socio-political activism and pray to the Almighty to solace the heirs and kins of this irraparable loss. The cold-blooded killings of Pakistani Hazaras is indictment against the government. Bodies of the Hazara coalmine labourers being loaded onto a pickup Datsun. After a cessation in the targeted killings of the Pakistani Hazaras, the terrorists have again dared to kill innocent people with impunity which are indictment against the federal and provincial governments of Pakistan. Yesterday’s targeted killings of the Hazara coalmine labourers in Mach area of Bolan district testify that the government lacks interest to exercise preventive measures to curb such menace. The willingness of the federal and Balochistan’s provincial governments to initiate a peace talk with the terrorists ascertains their intention to use these terrorists as proxies in the region in future which is highly condemnable. The Governor Balochistan, in a press statement, accepted the fact that the deteriorating law and order situation in the province is the failure of the intelligence agencies. This statement must not be taken at face value in that the highest public office holder laments about the intelligence agencies’ complicity with the terrorists and religious extremists to exacerbate the security situation. The ongoing genocide of Pakistani Hazaras require urgent attention of the world community including the human rights organisations to take practical measures for complete halt of these unjustified killings. The mainstream nationalist political parties of Pakistan must also make sincere and meaningful efforts in providing complete security to the minorities including the Hazaras. HUM proffers its deepest condolences to the aggrieved families of the Hazara coalmine labourers who fell victims to unprovoked firing resulting in their instant demise.